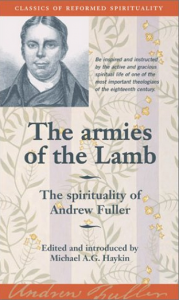 I have found the writings of Andrew Fuller, the friend of William Carey, to be of great inspiration. This is a collection of letters that he wrote over the course of his ministry. I have included this brief summary of his salvation.